Locan canail air Slighe-Uisge a' Ghlinne Mhóir ann an Cille Chuimein. Tha Cille Chuimein (Beurla: Fort Augustus) na bhaile beag air a' Ghàidhealtachd. Tha taigh-mhanach beag ann far an robh Henry Dieckhoff a' fuireach is ag obair. ↑ “Cille Chumein/Fort Augustus”. Ainmean-Àite na h-Alba. Air a thogail 3s dhen Dùbhlachd 2017. 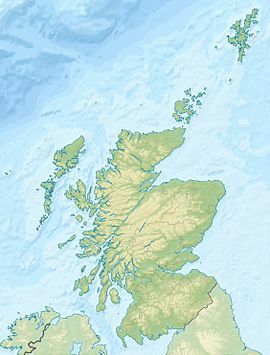 Air a tharraing à "https://gd.wikipedia.org/w/index.php?title=Cille_Chuimein&oldid=540292"
Chaidh an duilleag seo a dheasachadh 3 dhen Dùbhlachd 2017 aig 20:53 turas mu dheireadh.